"I made mistakes and I will pay for my mistakes", he said, adding, "I don't want to give up my goal of staying in politics". Trump's former campaign foreign policy advisor George Papadopoulos has been sentenced to 14 days in federal prison for lying to the FBI, reports Fox News. Papadopoulos, a young oil and gas consultant, was the first Trump official to plead guilty and cooperate in the investigation into Russian interference in the 2016 us election. But he said he was moved by what he viewed as Mr. Papadopoulos's "genuine remorse". He hasn't returned since. "My entire life has been turned upside down". Thomas Breen, Papadopoulos's lawyer, admitted that his client had been "naive" and "a fool", but he also cast blame on President Trump. However, prosecutors argued the former aide's lies were indeed "material to the investigation". Also on August 21, a jury in federal court in Alexandria, Virginia, found former Trump election campaign chairman Paul Manafort guilty on eight of 18 charges of filing false tax returns, failing to disclose his offshore bank accounts and bank fraud. But he said then-senator and now-Attorney General Jeff Sessions "was actually enthusiastic". He was also given a £7,300 ($9,500) fine and community service. 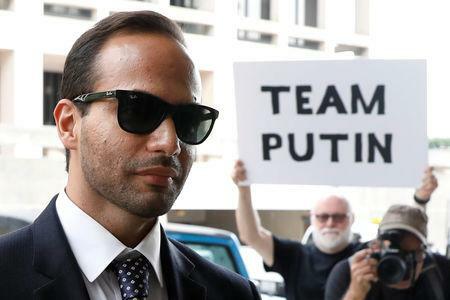 But he acknowledged that Papadopoulos was unsophisticated, naive and even a "fool" for having made contacts with Russian Federation intermediaries during the campaign. During his sentencing hearing Papadopoulos said his case should serve as a warning to others. Trump sought to ridicule the sentence, suggesting that it was trivial accomplishment for an investigation that has cost millions since it began in May 2017 - while ignoring the 35 indictments, five guilty pleas and one trial conviction Mueller has racked up so far. That led the aide to boast about his find in a London bar that was overheard by an Australian diplomat which then was reported to the Federal Bureau of Investigation. The investigation into alleged Russian interference in the USA elections has since been turned over to Special Prosecutor Robert Mueller.